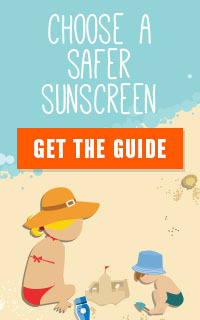 The EWG Sunscreen Guide rates the safety and efficacy of sunscreens, daily moisturizers, lip products and SPF-rated makeup. We launched the guide in 2007 because the federal Food and Drug Administration had failed to set modern safety standards for sunscreens. 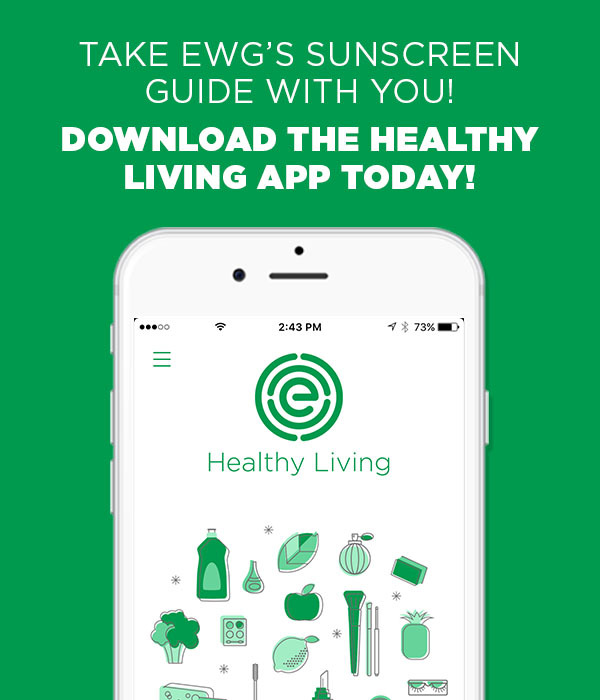 Without EWG’s guide, consumers would have to sift through misleading market claims and complex ingredient lists to determine if their favorite sunscreens would help protect them from sun-related skin damage. The EWG Sunscreen Guide rates the hazards and efficacy of sunscreens, and daily moisturizers and lip products with SPF ratings. We launched the guide in 2007 because the federal Food and Drug Administration had failed to set modern safety standards for sunscreens. Without EWG’s guide, consumers would have to sift through misleading market claims and complex ingredient lists to determine if their favorite sunscreens would help protect them from sun-related skin damage. 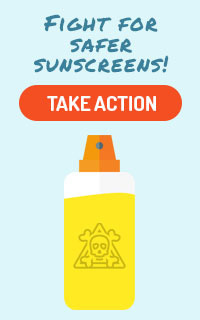 EWG’s research has discovered that some sunscreens have several serious problems. We are pressing the Food and Drug Administration to issue rules that address these deficiencies. In the meantime, EWG’s guide aims to help consumers make good choices, and avoid sun damage and cancer. EWG’s 2018 Guide to Sunscreens rates the hazards and efficacy of approximately 650 sunscreens, 250 daily moisturizers and 115 lip products with SPF values. Our assessments are based on ingredients disclosed on product labels. Each product’s score ranges from 0 to 10, and reflects both the degree of UV protection from the sun’s ultraviolet radiation and the hazards of all ingredients on the label. We base two-thirds of the overall score on a product’s UV protection. 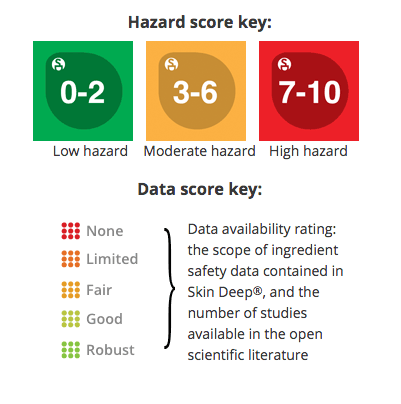 One-third of the score reflects the hazard score, based on toxicity concerns of listed ingredients. UV protection. A product’s ability to offer protection from UV rays is scored for four factors: UVB protection, UVA protection, UVA/UVB balance and sunscreen stability. Products are rated “excellent,” “good,” “moderate” or “poor” for each of these factors, based on the skin protection offered by the concentration of sunscreen ingredients listed on product labels. Sunscreens with one of these factors are rated no better than 3 (yellow, meaning “moderate hazard”). Sunscreens with two or more significant concerns are rated no better than 7 (red, meaning “high hazard”), and sunscreens with SPF concerns and ingredient hazards rate 10 in our database. The “data availability” rating measures how much is known about an ingredient. Not all ingredients are equal when it comes to hazard data. Some have been studied extensively. For others, there is only a modest volume of research. Some have not been tested at all. A product’s low score on the hazard scale doesn’t mean much if scientists know very little about its contents. Your best bet? A doubly good score: low hazard rating and high data availability. Read our methodology section for a complete description of our ratings system for sunscreen.